Sundiatapost.com has several channels including the most popular one named 'SundiataPost'. The website has a medium global rank which is 193 069. 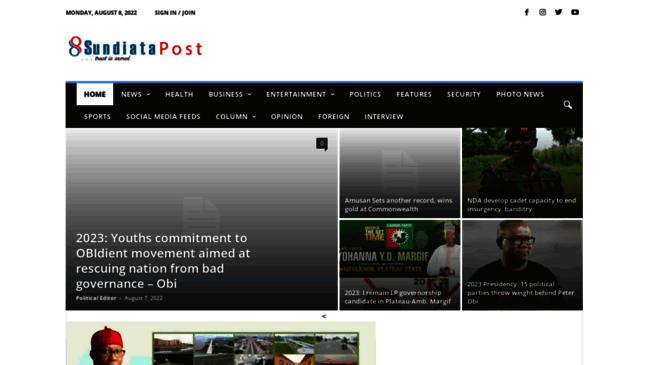 Sundiata Post is a website of moderate traffic with 4.52K visitors daily.